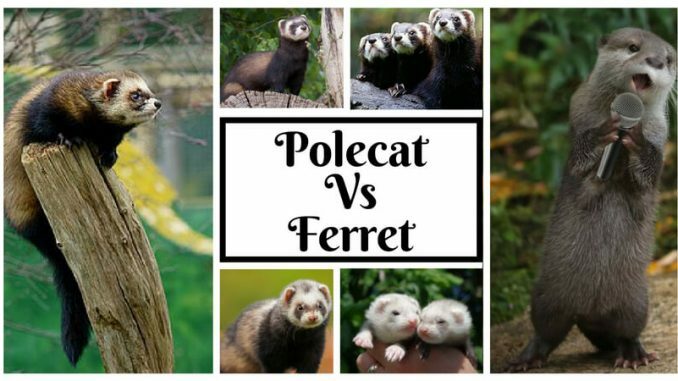 What is the difference between a Polecat and Ferret? Isn’t an interesting question to discuss? 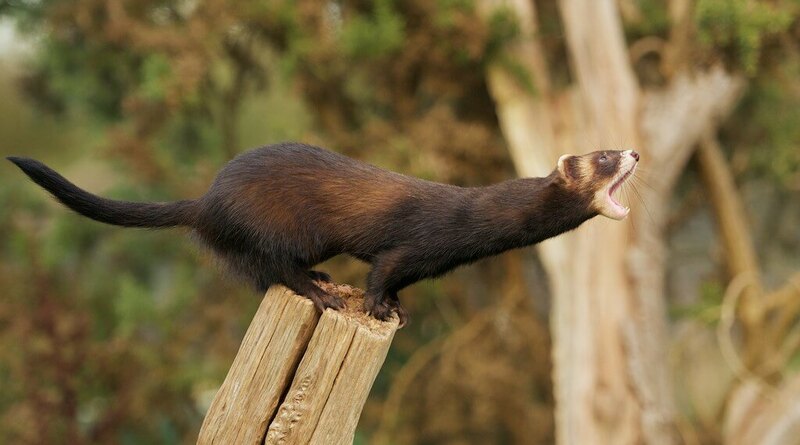 Here I will provide you some interesting facts which will make you aware of the Polecat vs Ferret. Both male and female polecat possess larger heads. Comparatively smaller heads are found in males and females ferrets. Possess less coat color variations. Enjoys more coat color variations. They are bigger in size. Holds a delicate and weak bone structure which can be easily broken. Holds dark colors. Possess lighter shades. The darker shade is found to the back side of the ear. From the back side, they possess lighter ears. Prefer to live If they want to mate, then only they meet the other polecats. They are more social and comfortable with humans and other ferrets. They are more muscular and enjoys stronger jaws. Has weaker jaws and less muscular. Features long and lean body with not very little ears. Features long body and small ears. From this table, you can make out the difference between European Polecat vs Ferret. 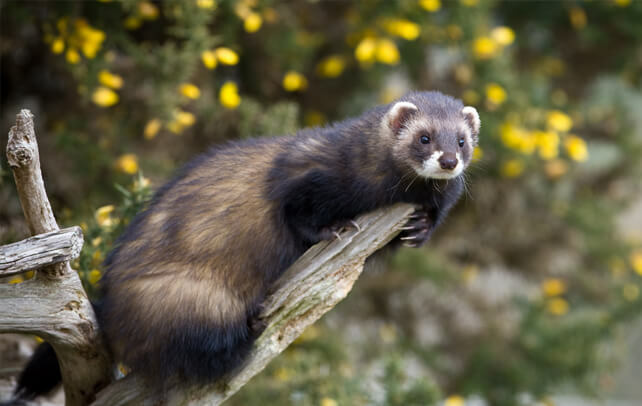 Let’s move on to know some more facts about polecat and ferrets. Ferrets possess small ears along with the long wiggly body. Ferret nose is sensitive, and the teeth are sharp. You will find them curious, energetic, stubborn and mindful. From European polecat, they have been tamed so they can be addressed as the domesticated polecat. They like the socialization, so they quickly get mix up with other ferrets. From March to January you can mate ferrets. European Polecat- They have a long and lean body, short legs along with furs which you will find from medium to long range. In length, their body ranges between 45-60 cm. You will discover rounded ears, short muzzles, and sensitive whiskers. They have poor eyesight, and with the sense of smell, they can move around as they are keen to sense. Their fur color is mostly dark. Some polecats are crepuscular while most of them are nocturnal. From one species to another the mating season differs as they can delay implantation. Nobody will be allowed in their space as they mark their territory. Their secretion produces an unpleasant smell so you can easily differentiate them. In many areas of UK, you will find ferrets and polecats. They are considered somewhat exotic pets. In wild areas, you will find it difficult to make out the difference between the two creatures. But with the help of their size, shape and coat colors you can figure out the difference between European Polecat vs Ferret. This article will provide you clear-cut differences between the two creatures which you should know before you breed. You can enjoy the fertile young by crossbreeding the polecat and ferret. The European polecat is identified as the ferret’s ancestor. If you want to choose the pet for your home among ferret and polecat, then it would be great for you to have the ferret as your pet animal as polecat gives displeasing smell in their bodily fluid and at the same time they are not so social.